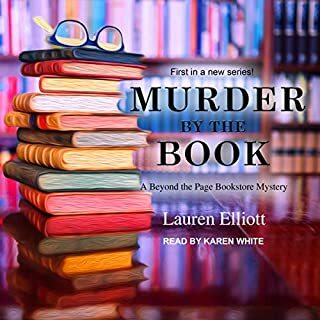 The narrator for this book was painful to listen to. If she narrates the other books, I won't be buying them. The story isn't bad though, so buy the book. I understand why the publisher compared this book to Stephanie Plum, but it isn't even in the same hemisphere. I enjoy a little "snark" , but that's what this entire book was. I finally skipped to the end just to see how it ended. 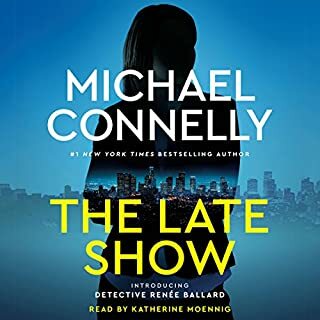 What made the experience of listening to The Late Show the most enjoyable? Slowing the speed of the reader helped. Listening to this reading was difficult. Made me feel like she was in a big hurry to get through with the story. The ending was a total surprise. I really enjoyed that. Either get a new reader or get the one who performed this book to at least pretend to enjoy the story. I am just happy to be able to have a new book by Connelly to read. It's been a long time since I have written a review, this book deserves one however. As with most series books the beginning is a little slow with background info, unless you are new to this series. I usually figure out "who done it" fairly early in most cases. I changed my mind several times reading this one, about who the bad guy was, and how everything was going to work out. When the end came near, I was in tears, but I won't spoil the ending. 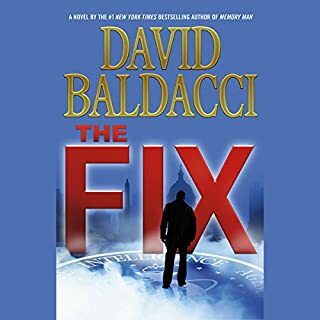 I have read all of Baldacci's books. I have enjoyed some more than others, but I love his writings. Fix is one of his best. Yes because it is the introduction to this series. I really enjoy the character of the professor. I hope to see a lot more of him. I actually loved all the characters in this series. What was one of the most memorable moments of The Professor? Read this book first. The next book is better,but you'll need to know the background to truly enjoy the next installment. Yes because it's a wonderful book. I enjoyed the entire book. I really enjoyed the ending. 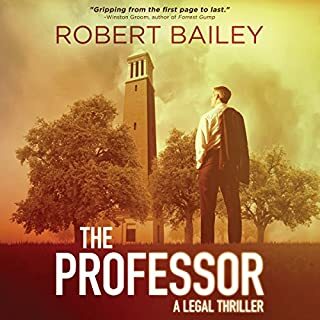 READ THE PROFESSOR FIRST. You need to be introduced to the cast of characters to totally appreciate this book. 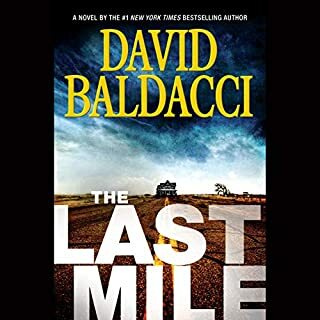 Where does The Last Mile rank among all the audiobooks you’ve listened to so far? This book was along the Camel Club series. It's worth your time. What other book might you compare The Last Mile to and why? What does Kyf Brewer and Orlagh Cassidy bring to the story that you wouldn’t experience if you just read the book? I enjoyed having a female narrator read for the females. When the kid/man got his answers. Read Memory Man first, or you won't get the full understanding of this book. I've listened to this book 4 times now, so yes I would listen to it again. 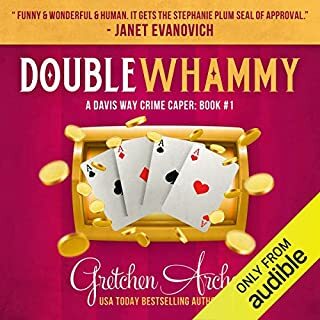 I really like the narrator and I still laugh out loud listening to this book. 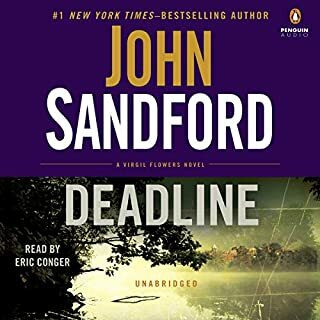 What other book might you compare Deadline: Virgil Flowers, Book 8 to and why? All of the Virgil Flowers books are great. The ending of this book is just to great. Eric Conger has been the best narrator for this type of series I've listened to. His voice inflections are well done and make me want to hear what happens next. I've listened to this book all in one sitting more than once. This is the best book I've read by Sandford. The Prey books are great, the Flowers books are more enjoyable to me. I find the additional humor in Virgil's exploits more entertaining. 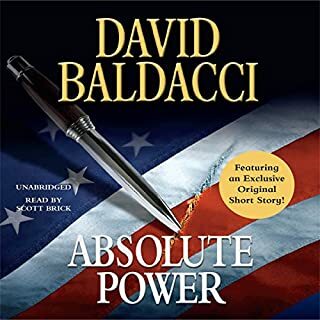 I've read most of David Baldacci's books. Absolute Power was not my favorite. The story was one of the worst books as far as ALL the descripted (my word) works of this author. It feels like he was day dreaming while he wrote. The story itself was great. 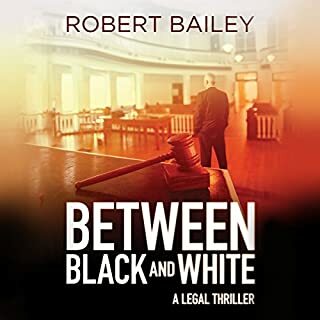 I enjoyed the plot and the characters. I don't feel cheated by buying this audio book mainly because of the short story, No Time Left at the end. I would love to see Mr Baldacci do a full novel along the same line. 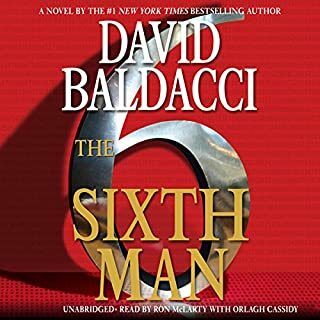 I really do love Baldacci's characters and plots. I like that the endings leave me wanting to read the next book.
. ,I don't understand the bad reviews. This was a great book to me. I don't have a problem with the southern accent, mostly because no one gets that right. This book did make me HAVE to read the next book though.